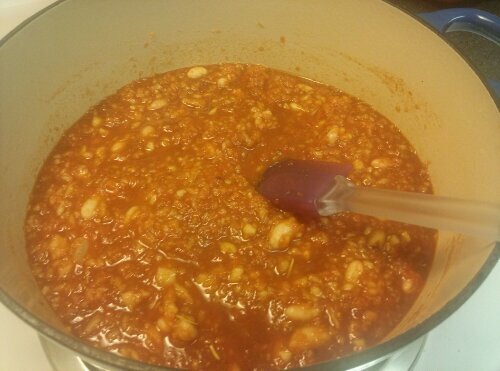 So here’s a dinner that was going SO WELL, until I made a terrible mistake, and ruined the whole pot of beans. I thought it was a perfect meal for the new cooler weather: Apple Baked Beans, Maple Dijon Tofu Chops & Roasted Brussel Sprouts. 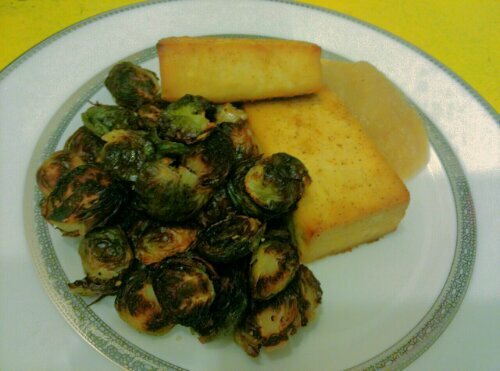 Thankfully I was also trying out a delicious recipe from More Peas and Thank you for the tofu, and using my favorite way to cook the brussel sprouts, this baking method, so we still had a really nice dinner. But even after going so long without a kitchen mishap, it happened to me. We ate dinner whilst attempting to air out burned bean smell from the apartment. These were the super promising beans from The Great Vegan Bean Book in the works. They were full of all kinds of yummy things, and smelled great. F A I L ! 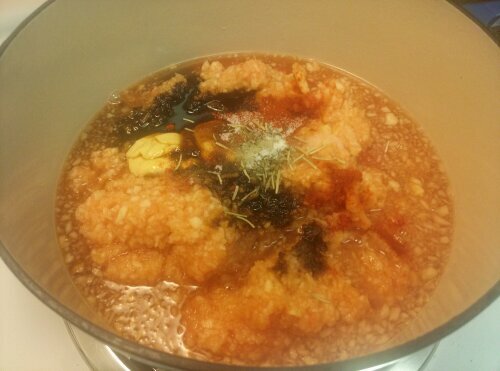 After the beans were put on to “simmer” I got the tofu ready so it could marinate for a while. 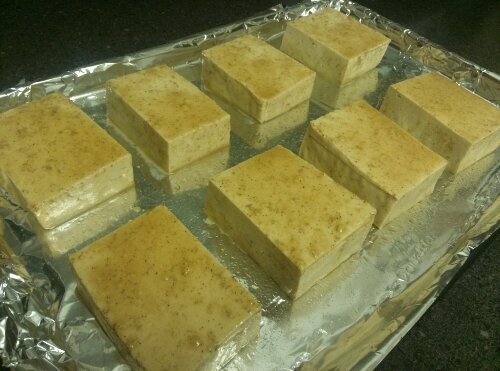 I used two packages of Trader Joe’s sprouted tofu. The texture on the tofu was fantastic! 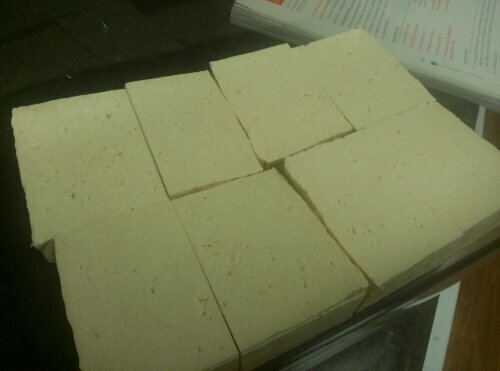 I love sprouted tofu because it’s extra firm, and you don’t have to press it. It can be a bit spendy at Whole Foods (like what isn’t?) but it’s very reasonably priced at TJ’s (like everything else!). I cut each package in half widthwise & lengthwise to make 4 nice sized “chops”. 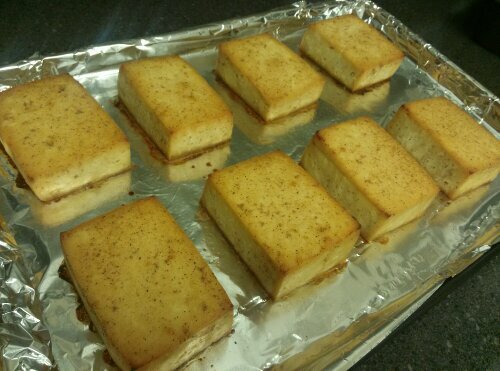 I decided to use my baking method for tofu rather than the broiling method in the original recipe, since I made my chops so thick. 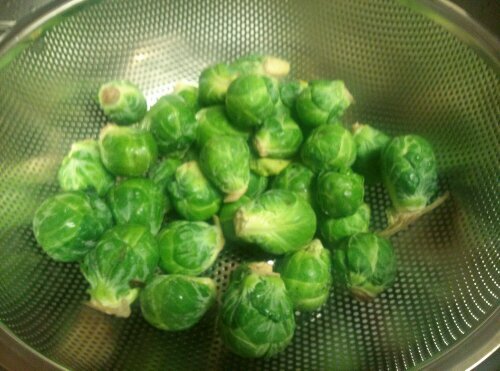 I used about 2 cups of whole brussel sprouts, but 3 would’ve been better! Prepped them by cutting them in half, placing them face down, and misting with olive oil, and a sprinkle of salt & pepper. So that’s another win for More Peas and Thank You. Great book. And it’s another non-win for the bean book. Though this one was totally my fault! 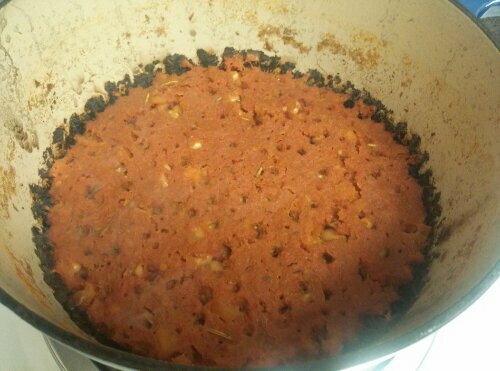 The last recipe from it was under seasoned, so I was hoping for a win this time, but sadly, I think I will just buy a can of baked beans in the future like I originally told myself. We’ll see. The fate of that pot is still questionable. How is your MoFo going? My parents get here tomorrow, YAY!!!!!!!!!!!! But I will try to get a couple of posts up this week. It’s their first time visiting the Pacific Northwest and we’re all very excited about their visit! That’s too bad about the beans. That kind of stuff happens to me all the time. 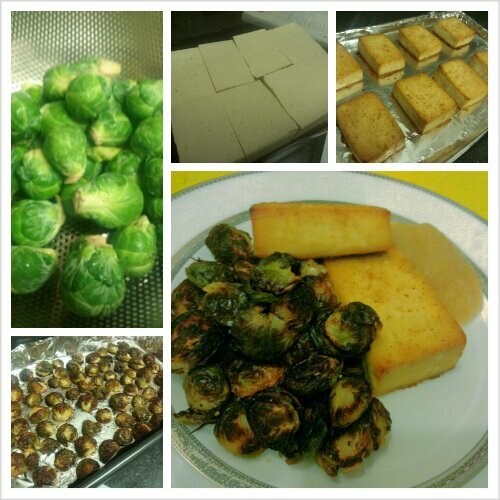 The sprouts and tofu look awesome. 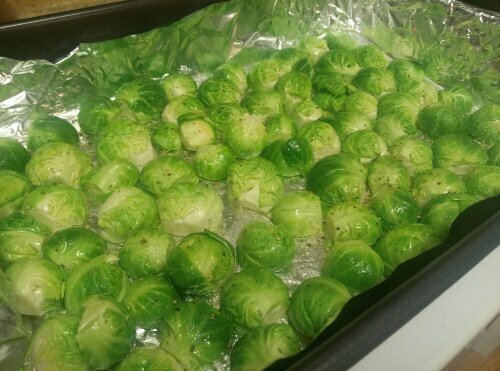 I love me some brussels sprouts to accompany a meal. Hope you guys have a fun time showing your folks around! That is nice that they are coming to visit. Been there with the beans but those sprouts and that tofu looks good enough to make up for it.